With the first kick-off of the pigskin this season, chicken wings were back on top of the menu once again for hungry football fans nationwide. Each autumn, migrating herds of Americans return to their favorite hot (wings) spots week after week to catch the big games on big screens, or wolf down their favorite spicy chicken wings at home on their new HDTV unit. It's a routine that's become big business, and it doesn't seem to be losing any steam. Just how big is this business? Industry statistics on this segment translate wing fans' habits into some big numbers. The Washington, D.C.-based National Chicken Council estimates that in 2007 more than 11 billion chicken wings (2.25 billion pounds, or more than 1 million tons) of chicken will be marketed as wings (as opposed to the wings on whole chickens or breast quarters). Of these, 7.5 billion wings (1.5 billion pounds) will be sold through food service channels; the remaining 3.5 billion wings (750 million pounds) will be sold in retail grocery stores for home consumption. 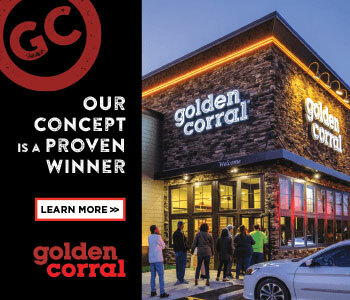 This continuing demand helps explain the soaring growth over the past two decades in wing franchises that serve up this spicy, lip-smacking finger food to a seemingly bottomless American public. Companies old and new-Wing Zone, Buffalo Wild Wings, WingsXtreme, Wingers Grill and Bar, Wings Over, even KFC, Church's and Popeyes Chicken and Biscuits-are all looking to get a share of the hungry fans. The number of franchises serving hot and spicy chicken wings is almost as numerous as the sauces and seasonings used to baste, flavor, color, and cook the wings. Sauces range from sweet to tangy to spicy-and everything in between-more than enough to soothe the savage breast. Wings are versatile, to suit many moods and events. They're great as snacks, sides, or even as whole meals. That gives wing franchises plenty of marketing targets to shoot at. And operationally, wings are relatively easy to prepare, keeping kitchen management simple and service quick. Chicken wings also are great on the go, with the takeout segment firmly established as consumers wheel in or drive through to grab a tub, vat, or bucket for the big game-or just the regular Sunday one-at home or at a friend or neighbor's house. Sports bars combine wings with an array of television sets tuned to games across the country. And if you're doing any driving yourself, just check out the tailgating parties at any stadium parking lot across America and you will undoubtedly discover a chicken wing bonanza. Beyond wings, most wing franchise stores typically offer other tasty delights to keep every appetite satisfied. You can find burgers, sandwiches, salads, and desserts among the offerings on many wing franchise menus. There's no question that chicken wings and football make a perfect match, and one weekend each year drives that home: Super Bowl Sunday (in fact, the whole weekend) is unquestionably the biggest time of the year for wings. The National Chicken Council estimates that approximately 450 million cut wings-more than 1 billion wing portions-were consumed during Super Bowl weekend in 2007. That's about 90 million pounds of wings, if you're counting. For franchisees tallying up the receipts at the end of the day, that's nothing to "bock-bock-bock" at!